Of Maids and Mariners is the new EP by Said The Maiden. With two new studio tracks recorded and produced by Stu Hanna of renowned folk duo Megson, and two live tracks recorded at Redbourn Folk Club, the new release is a showcase of how Said The Maiden has developed and grown over the last year or so, displaying more than ever the distinctive sound that defines them - from soaring acapella harmonies and fresh new arrangements of traditional songs, to their own compositions inspired by sea songs and shanties. Said The Maiden are self-releasing the EP which will be officially launched on 10 January 2016 at Empire Records in St. Albans. The group has also worked with Rodeax Films to create a music video for The Soldier and the Maid, which can be viewed here. Said The Maiden has been running a Pledge Music campaign to help with funding for all of their most recent projects. Without the generosity of the people that have pledged and the support of those who have helped spread the word, we would not have been able to have the privilege of working with such fantastic and talented people. We would like to thank everyone for their continued support - it means so much to us. 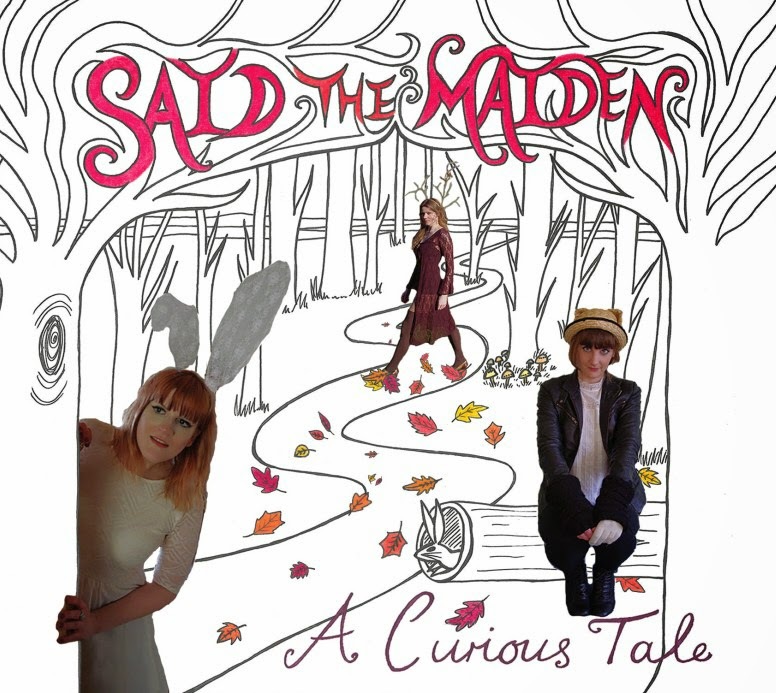 Said the Maiden released their eagerly-anticipated debut album, A Curious Tale, on 21st June 2014. In the two years since they first played together at Redbourn Folk Club, the band has quickly picked up momentum and found themselves playing at some of the best known folk clubs in the country, and opening for some of the biggest names on the scene, including Megson, Jim Moray, The Fisherman's Friends, Hannah James & Sam Sweeney, Clannad and Dave Swarbrick. 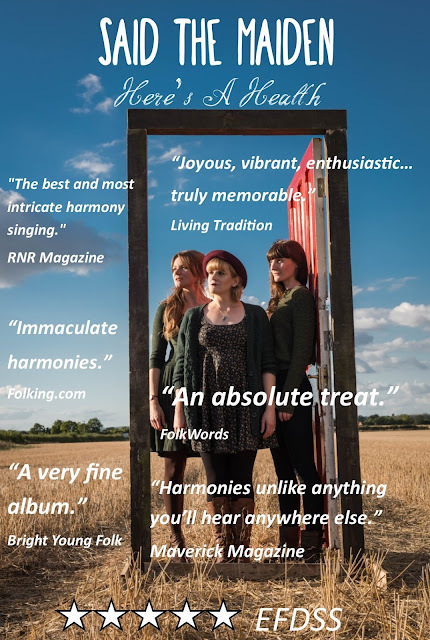 The band's 2013 EP, Come Hither, was met with great praise from fans and received brilliant reviews from Bright Young Folk and FATEA Magazine, and airplay around the country, including on Mike Harding's Folk Show. Headline sets and festivals came soon after, with appearances at FolkEast, Folk By The Oak and Bunkfest, and a session for the famous Songs from the Shed. In the spring of 2014 they accompanied Dave Swarbrick on a month-long tour of the UK, and this year has also seen them shortlisted for Bristol Folk Festival's Isambard Folk Award. 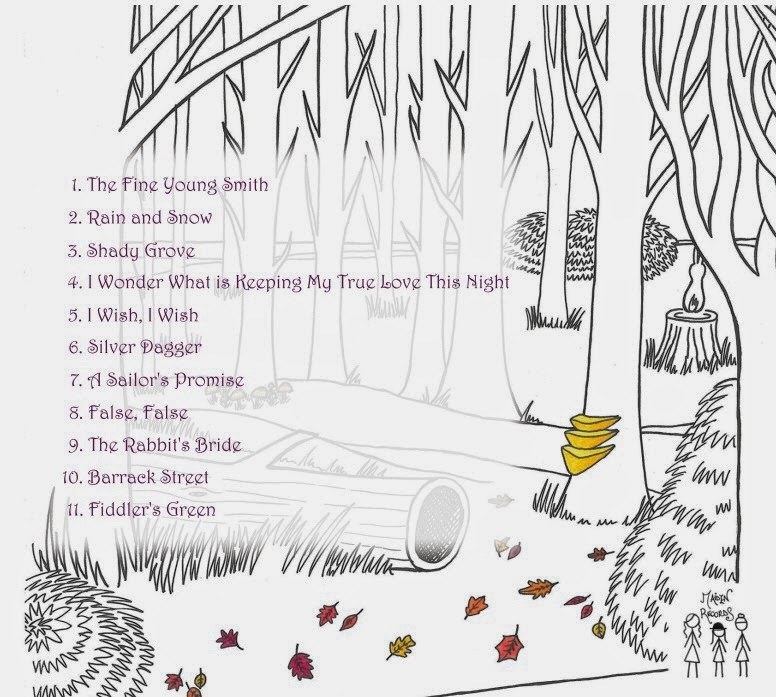 A Curious Tale comprises eleven tracks: a selection of traditional English and American folk songs, and two self-penned songs. The album sees the girls really mature in their abilities as musicians and recording artists, exploring the use of various new instruments as well as taking full advantage of their real strength: acapella harmonies. 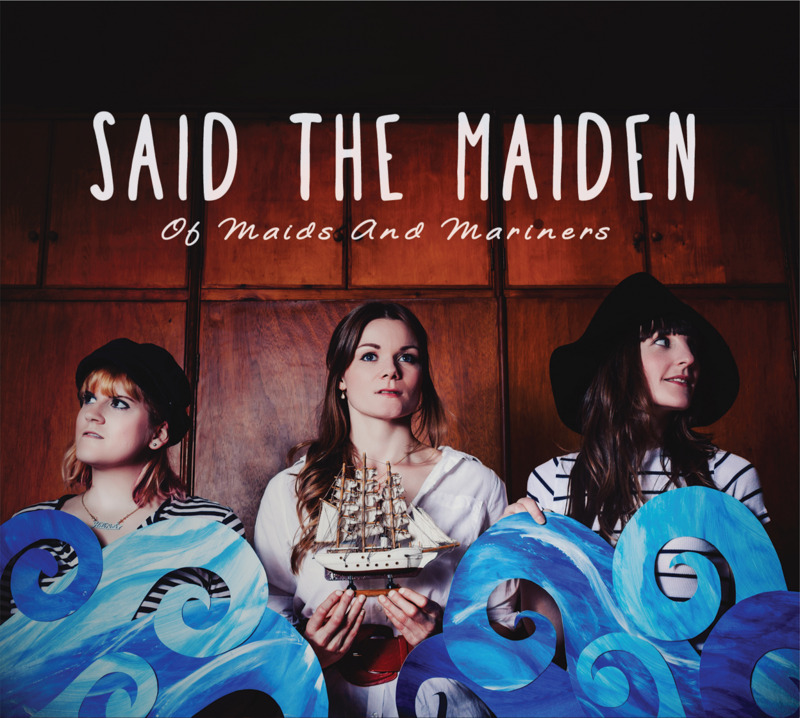 Said the Maiden are Hannah Elizabeth, Jess Distill and Kathy Pilkinton. "I like anything these girls do... Their harmonies are extraordinary!" 1. A Fine Young Smith. Traditional lyrics put to a modern tune by Kathyrn Roberts and Sean Lakeman, who kindly gave permission for Said the Maiden to use it after it became a popular live track for the girls. 2. Rain and Snow. One of the first songs the girls learned to play and sing together; it has evolved a lot since the early days of the band. more drive. This new version features a fiddle line by Dave Swarbrick, and also appeared on his recent EP “Passing The Baton”. 4. I Wonder What Is Keeping My True Love This Night. This sad, harmonious love song is an audience favourite that silences even the noisiest of crowds. 5. I Wish, I Wish. An old American song, first heard by the girls on the soundtrack to the film 'Cold Mountain'. 6. Silver Dagger. A very popular, beautiful song, first made famous by Joan Baez. 7. A Sailor's Promise. Written by Jess, with a tune based on a tune by her dad, this is the band's first foray into performing their own original material. 8. False, False. Featuring clashing harmonies, and Hannah on the accordion. 9. The Rabbit's Bride. Another original song penned by the girls, and featuring guest vocalist James O'Hara Knight as The Rabbit. The idea behind this song came about when the girls Googled their own name “Said The Maiden”. One of the most popular hits on Google was the phrase “Shoo, Shoo said the maiden”, a line from the Brothers Grimm fairytale “The Rabbit's Bride”. 10. Barrack Street. A jolly, upbeat track made famous by Nic Jones, and here featuring mandolin and penny whistle. 11. Fiddler's Green. Written by Lincolnshire songwriter John Conolly in 1966, and used with kind permission.